Ketoh made of a thin silver plate with a cut-out design in the form of a 6-pointed star in an oval frame. The oval is outlined by crescent-shaped commercial dies separated by round punch stamps. 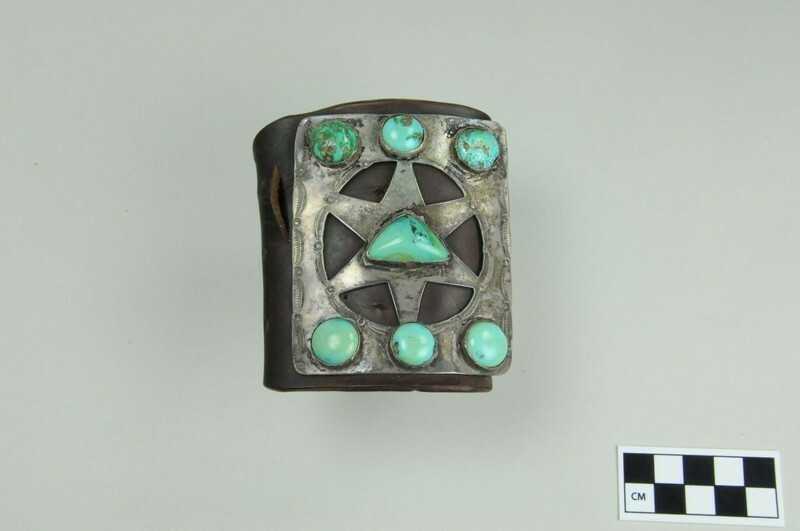 The center is set with a triangular shaped, hand-polished cabachon of blue-green turquoise which rises above the bezel. Across each end are mounted 3 round cabachons, also in turquoise. The silver plate is attached to commercial leather strap that looks to be from a boot. Evidence that 3 large buttons once flanked the main plate on each side. 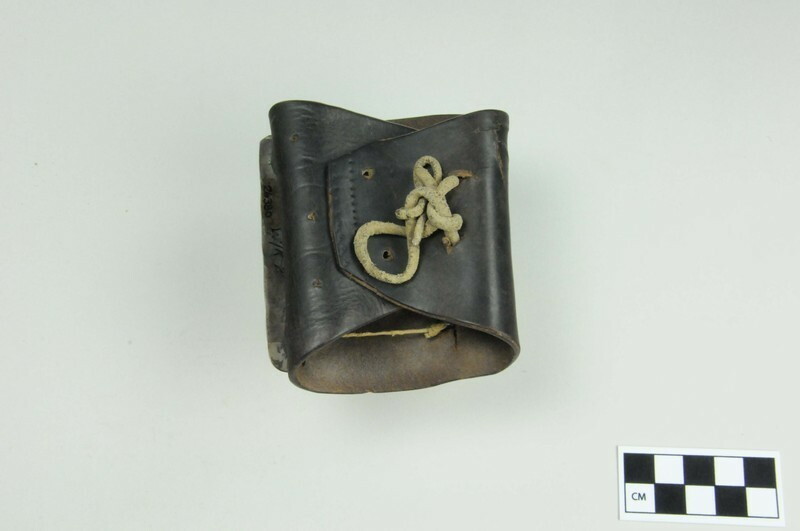 The plate is attached to the leather by cotton string through copper and silver loops.